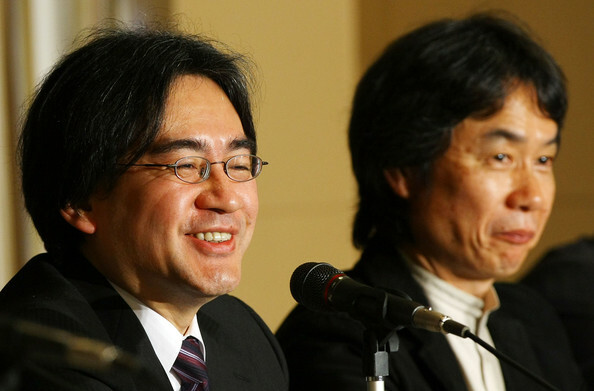 Iwata and Miyamoto plan to expand Nintendo licenses to allow more releases. Nintendo's decades-old strategy of sparse first-party-title releases may soon be drawing to a close. At a recent financial results Q&A, Nintendo President Satoru Iwata and General Manager of Nintendo EAD Shigeru Miyamoto expressed their desire to release games starring Nintedo IPs more often, and the wish to extend the life of pre-existing games utilizing DLC. Iwata headlined Nintendo's DLC strategy. He feels that with the release of only maybe one or two major titles per IP (Mario, Zelda, Mario Kart, etc.) that Nintendo should strive to extend the life of those products with DLC as they have recently done with Mario Kart 8. Miyamoto showcased another strategy involving spin-off games as well. He believes that collaborating with second or third-party designers to release smaller-scale games utilizing Nintendo IPs that would concentrate on being smaller-scale than their main series entries, but still enjoyable. He pointed to the recent success of Hyrule Warriors as an example of how this plan could work out. In any case, 2015 could be shaping up to be an excellent year for the Wii U. With the release of Hyrule Warriors and this announcement, players may be seeing something that has only happened very sparingly since the disaster of the Phillips licensing deal in the early '90s: the licensing of Nintendo characters and franchises to third party developers.